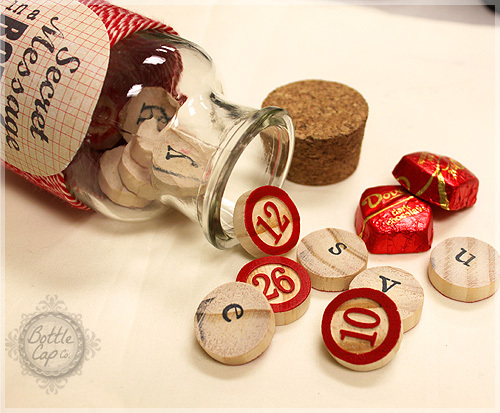 A pack of Bingo chips, alphabet stamps or stickers and any kind of jar or small container is all you will need to make this wonderfully cute and thoughtful handmade gift for kids or loved ones. 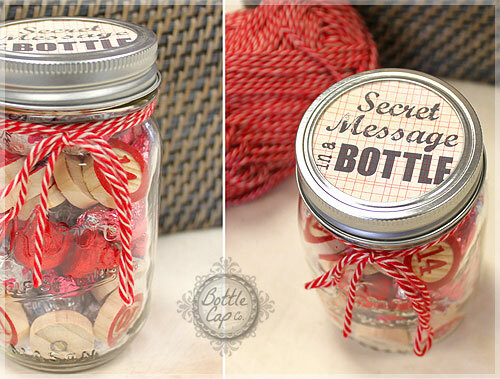 You'll have so much fun with this creative Valentine's Day project! I started by choosing an inexpensive glass jar from the dollar store. I wrapped baker's twine around the jar until it covered the majority of the space. Then I glued down the ends and finished it off by adding a creative paper label for the bottle. 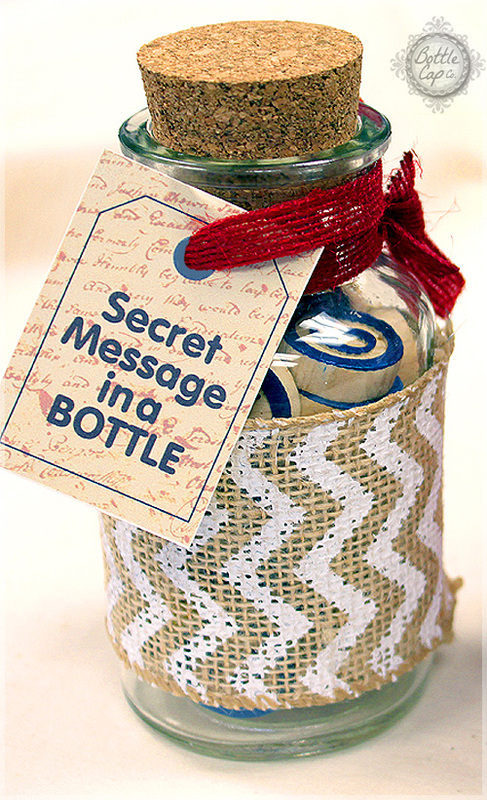 I kept mine simple but there are lots of creative paper craft items that you could use to label your "Secret Message" in a bottle. There are 31 tiles in each pack of Bingo chips. ...then flip them over and add your message. 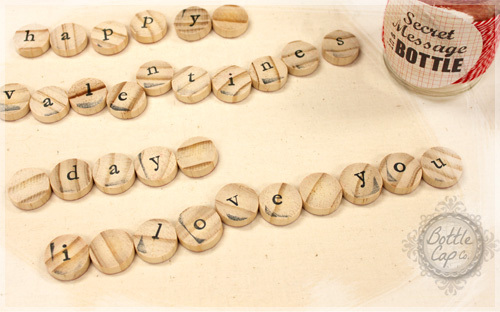 Add some chocolate or favorite candy to make it an extra special Valentine's Day gift! Canning jars are everywhere right now. 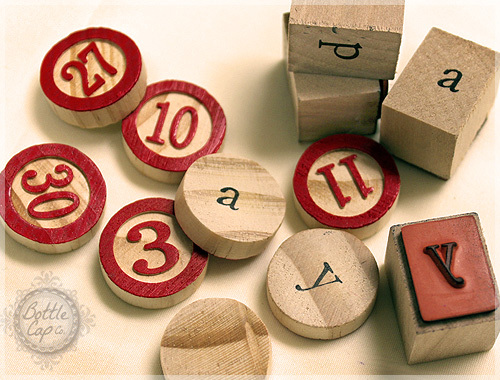 They're simple, nostalic, inexpensive... perfect for this craft. I really love how this jar turned out. I glued the label on the lid rather than the side, and I used a larger amount of candy with a smaller amount of bingo chips. You could minimize the decoration even more, and make this gift perfect for boys and/or girls who don't prefer frills! 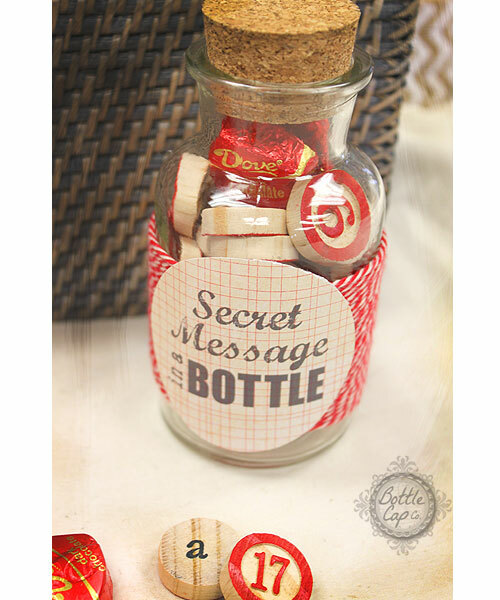 Or tailor the decor of your secret message in a bottle for any style, theme, holiday, birthday or special occasion. 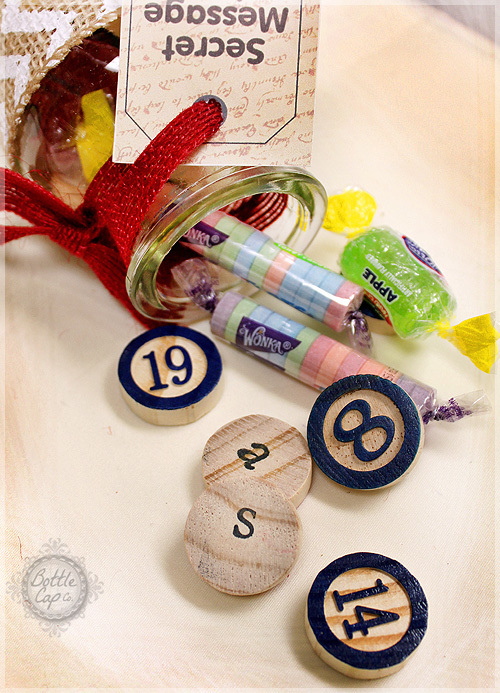 To make the jar pictured above I used a pack of Blue Bingo Chips, chevron burlap ribbon and a coordinating paper label attached to the jar with ribbon. Spruce it up with some candy of course! Have a question or comment? We'd love to hear it! 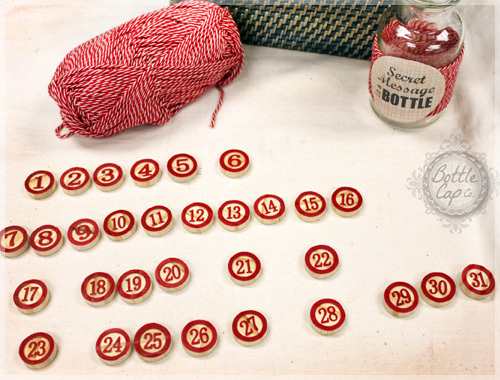 Copyright Bottle Cap Co. All Rights Reserved.